It’s your worst nightmare: the old car that you love has started to develop rust. And it’s not just in one place, either. It’s everywhere and it’s continuing to spread. You know rust can be a big problem, but you also love your car and don’t want to get rid of it. So what do you do? The good news is that there are several ways trained auto body technicians can fix that rust without having you write off the car or spend a fortune on repairs. Here’s exactly how a quality repair center like Chaney’s Collision Centers can save you money. 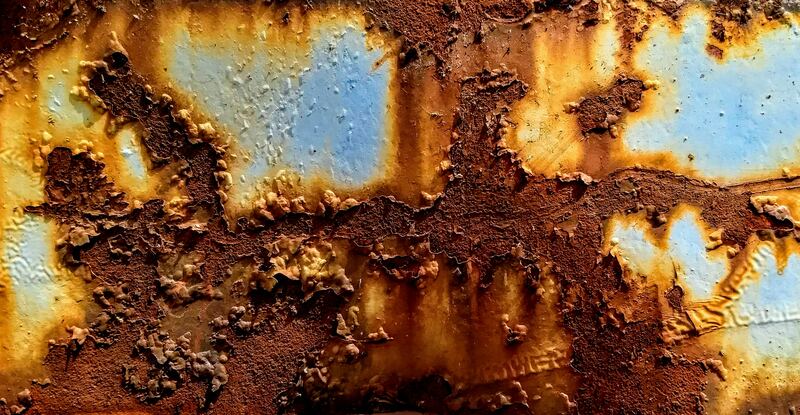 Before we delve into how we can help, let’s take a second to look at why and how rust occurs. When your car’s paint job gets weakened, scratched and removed, the underlying metal of your car’s frame eventually gets exposed to the elements. When the iron of your car combines with air and moisture, rust is inevitable. It’s why if you live near the sea or in cold, wet climates, your car will rust quicker than if you drove and lived in a dry climate. Even if you see rust, you may not appreciate the extent of the rust on your car. Collision repair centers can use several tools to identify exactly how far the rust has spread and what part of the cars it is affecting. If you only have a small amount of rust on your car and it is confined to a single area, auto body technicians can use small rust repairs to fix the problem. This is achieved by sanding down the rusted area, removing the corrosion and the surrounding paint. A primer can then be applied and the area repainted to match your car’s original finish. If the rust has spread to a large part of your car, more extensive work will be needed. This is often achieved by cutting out a part of your car’s metal and replacing it using a bonding material to fix everything together. In some cases, where the rust is extensive, the entire body of the car will need to be replaced. Just like with small repairs, the area will then be sanded, primed and painted to match your car’s original finish. No one wants to see rust on their pride and joy. But if you do, it’s important not to ignore it. We highly recommend that you bring your car into Chaney’s Collision Centers as soon as possible so that we can keep rust repairs as small and cost-effective as possible. The longer you leave it, the harder and more expensive it will be to repair. For your free quotation, give our team a call today or bring your car into one of our centers. Hidden Problems Caused by Rear-end Collisions How Much Do Car Insurance Rates Go Up After a Collision?